A former Netflix executive is alleging that she was fired from the streaming giant after announcing her pregnancy. 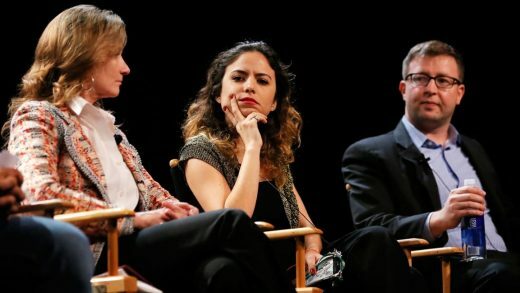 Tania Zarak was a manager of Netflix’s international originals division, but she found herself excluded from meetings, ignored by her supervisor, and removed from a show she was working on without her knowledge, according to a lawsuit reported on by Variety. In the suit, Zarak alleges that it all started when she disclosed to her manager, Francisco Ramos, that she was pregnant. After noting the change in behavior, she reportedly went to Netflix’s HR department, who called her into a meeting with the manager to discuss the situation. The suit claims that during this meeting Zarak sought to reassure Ramos, who asked about her due date, according to the suit. After telling him that she was due in May and would be taking maternity leave afterward, he reportedly became “visibly agitated” despite the fact that Netflix theoretically offers employees unlimited leave for new moms and dads. Zarak alleges she was fired the day after the meeting. She has now filed suit alleging that she was fired for being pregnant and that Netflix “secretly retaliates” against pregnant women or parents looking to use the company’s parental leave policy.